Warren Earl of Taylor Ridge Homes says a lot of thought went into the design of this 1,734-square-foot bungalow. The home’s elegant living room is an inviting space that features a smashing tray ceiling, cultured stone fireplace and dual picture windows. The island in the home’s open, well-lit kitchen seats four. There’s also a dining-room space. Each of the three bedrooms on the home’s main level are spacious. The home’s bathrooms make use of gorgeous quartz countertops. 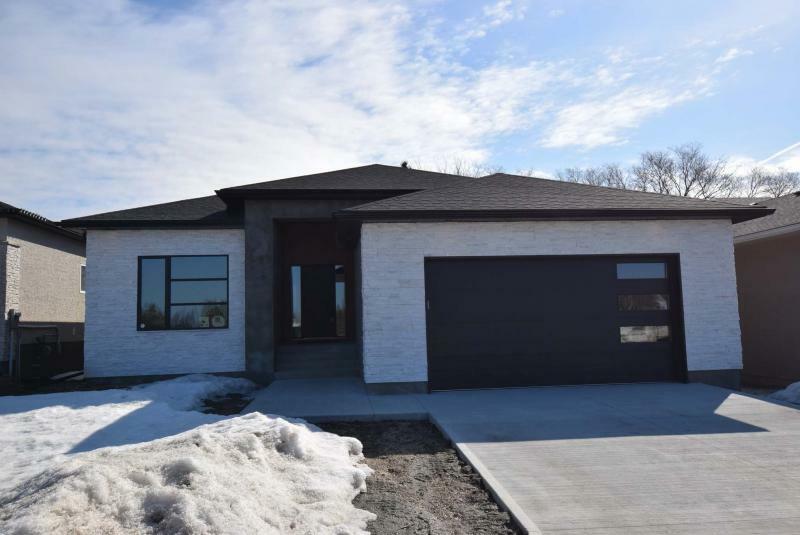 Way back in the 1970s, a forward-thinking investor by the name of Lorne Sharfe bought a tract of land in southwest Charleswood just west of the junction of Harstone Road and Glenbush Street. That land sat undeveloped until 2015, when Sharfe’s son, Adam, decided the time was right to start a new neighbourhood there. Today — just three years later — the first two phases of Scotswood Meadows have sold out. With demand for homes in the park-like area high, Adam Sharfe says Phase 3 of Scotswood Meadows is due to come online in mid- to late summer with a final 26 building lots to complete the community. "When those homes are built, all 80 lots will be filled by a nice cross-section of custom-built homes," he says. 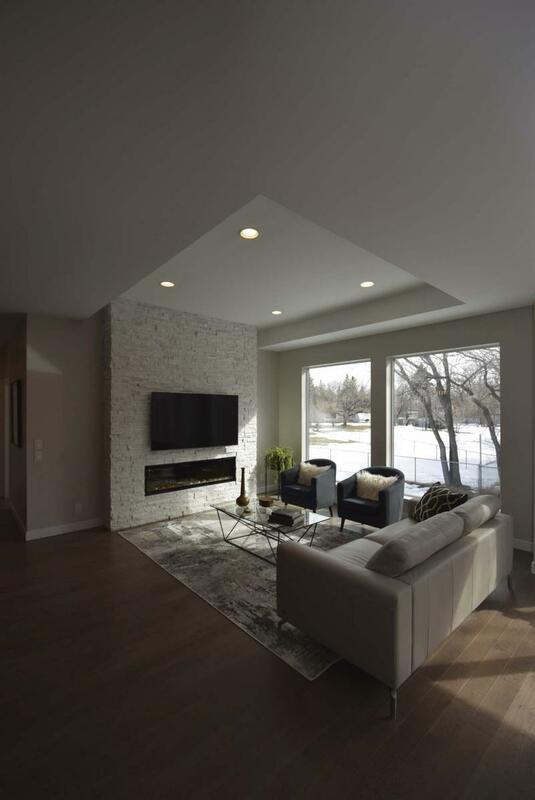 "To give people an idea of what it would look like to own a new, custom-built home in a mature, established neighbourhood, the company I started with builder Warren Earl, Taylor Ridge Homes, has built a show home at 437 Scotswood Dr. S."
Earl says a lot of thought went into the design of the 1,734-square-foot bungalow. "It was essentially designed around what the lot had to offer. It’s open on one side and well-treed on the other, so we wanted to capture both the openness and tree views behind the home." To do that, the rear walls on the main and lower levels of the home were filled with glass. "A pair of oversized windows on the living room’s rear wall and sliding patio doors behind the dining area not only highlight the view out back, but allow all kinds of sunshine to enter the home," Sharfe says. "The home faces east, so the sunshine coming into the home in the morning is spectacular." Likewise, the lower level features the same natural brightness and countrified views. "I call this lot an outlook lot," Earl says. "By putting three huge windows on the lower level’s rear wall, you get the same views of the backyard that you get upstairs in the great room. You don’t feel like you’re in a basement at all with all the natural light and space." Tyler Ellis, marketing the home along with Monopoly Realty stablemate Jon Blumberg, says the lower level is as spacious as the main level. "With its steel I-beam and the mechanical equipment placed off to the side, you get about 1,700 sq. ft. of usable space. Ceiling height is approximately eight feet six inches, and there’s tons of space for a fourth bedroom, bathroom and huge rec room, with loads of storage space left over." Take the four-foot-wide lower-level staircase back up to the main floor, and you find yourself in an expansive foyer that’s flanked by brief hallways on either side. Go left, and there’s a four-piece bath set between two oversized bedrooms. Head right, and you pass through in to a superbly designed mudroom. "The bedroom to the left, which has a huge window on its rear wall, could be a bedroom or office," Blumberg says. 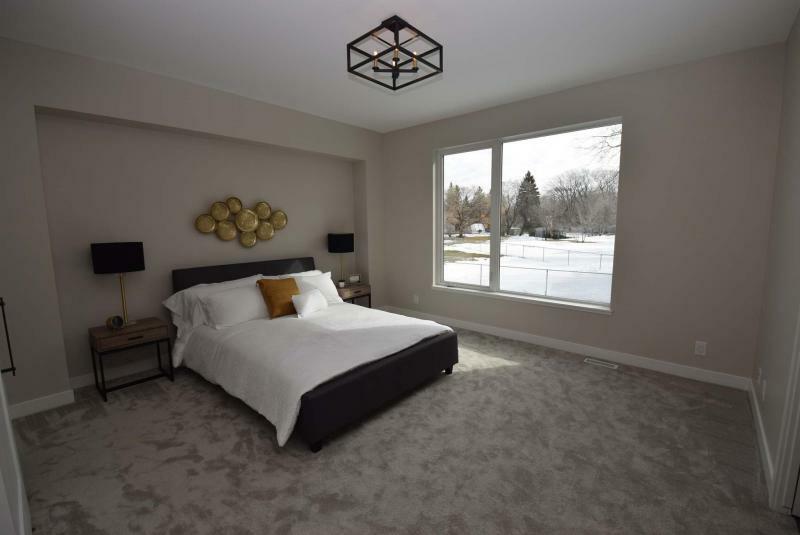 "The bathroom features a tile floor, soaker tub and vanity with quartz countertop, while the bedroom to the right offers beautiful backyard views through another big window." Then, there’s the highly functional mudroom. "One of the priorities in the design of this house was storage space, so we put cabinetry in the anteroom before the mudroom," Sharfe says. "Then, we put a cubbie-style locker in the mudroom along with another storage cabinet. The door from the oversized double garage was positioned so you can bring groceries directly into the kitchen from the garage." More function awaits just outside the doorway to the kitchen, with a free-flowing great room that contains an island kitchen, semi-formal dining room and quietly spectacular family room. "There are no obstructions, so light permeates the entire area," Blumberg says, adding that engineered oak hardwoods endow the area with a warm feel. "The island seats four, the light and dark cabinets look great and the tile backsplash and quartz countertops add an extra touch of class. The dining room is next to the patio doors, which will lead out to a backyard deck." The great room is then completed by a handy quartz-topped dry next to the kitchen — and the elegant living room, an inviting space that features a smashing tray ceiling, cultured stone fireplace and dual picture windows. A luxurious and wonderfully isolated master suite then finishes off the main level in a sensible style. "I love how the huge picture on its rear wall allows the sun to slant in and provides a beautiful view of the private backyard," Blumberg adds. 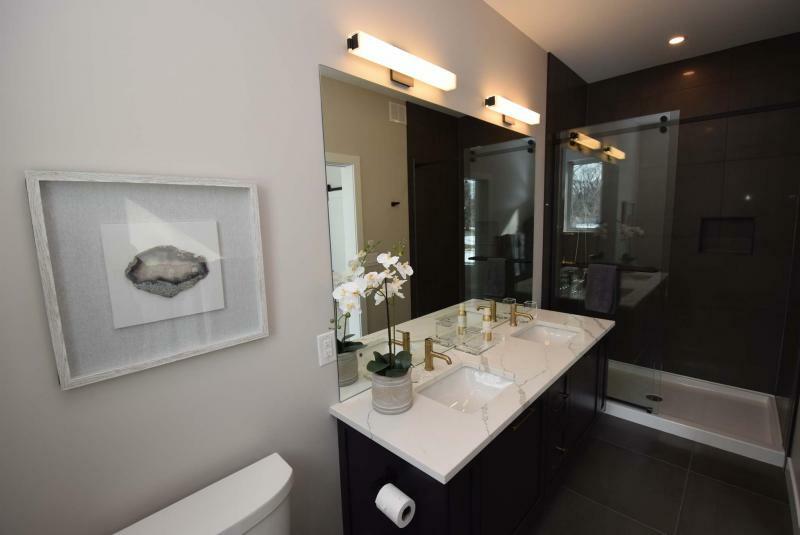 "There’s a big walk-in closet with built-in wooden shelving, and a gorgeous ensuite with a tile floor, five-foot tile/tempered-glass shower and a dark, quartz-topped vanity with elegant champagne-bronze fixtures." No stone was left unturned in the design of the home, Earl says. "We did our best to go above and beyond in how the home was designed and finished — we were really concerned about the quality we were giving homebuyers. I think the home features a functional yet elegant design that will stand the test of time." 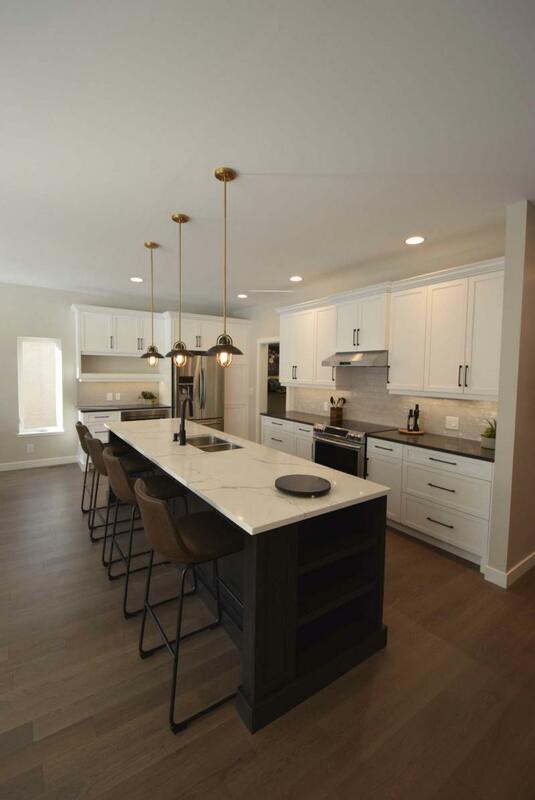 People in the market for a new home have the option to buy a brand-new, custom-built home in an established community, Blumberg says. "Come check out the home, and what the area has to offer," he says. 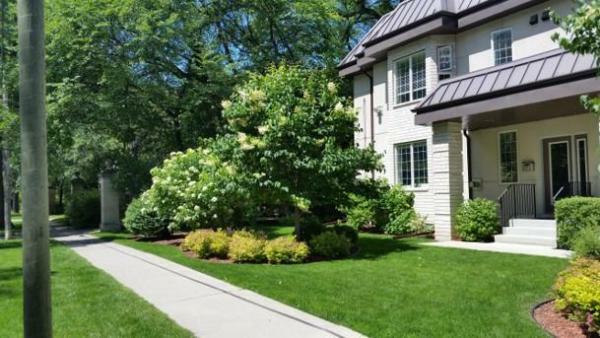 "Scotswood Meadows offers a great location that’s close to all kinds of amenities. 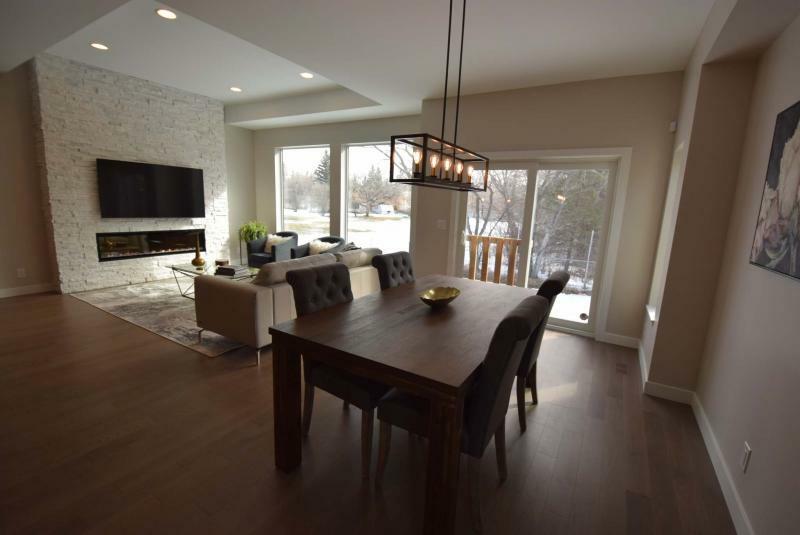 Not only that, but this home was built right, so you’re getting the best of both worlds — a high-quality home in a mature area that you can enjoy right away." Show home hours: Saturday and Sunday 1-3 p.m.